DHAKA, Bangladesh — The thrum of needles filled the expansive factory floor as machines embroidered small hearts on thousands of pieces of fabric. Piles of tiny distressed jeans for children covered a table at Alif Embroidery Village, a factory of 1,800 workers on the outskirts of Dhaka that makes clothes for international brands such as H&M and Gap. One by one, a young man embossed the jeans’ inner waistbands by hand with an H&M label and the words “Conscious & Denim” in silver lettering. Nearby, workers methodically screen printed the words “Holly Whyte” on tank tops and added layers of glitter. Young women in colorful saris blow-dried the letters by hand. But amid the daily garment bustle, another kind of work was being carried out. On the ground floor, engineers and construction workers climbed into a gaping hole around a concrete pillar sprouting rebar. More than 30 concrete columns will be reinforced in this six-story building over several months. Holes cut in the ceiling awaited the installation of a high-tech smoke alarm system. And newly installed fire doors still had plastic wrapping around their edges. Two years after the world’s worst garment factory disaster, Bangladesh’s garment industry is immersed in an urgent, massive effort to bring factories up to international safety standards. Inspections of more than 2,700 of 3,500 export facilities had been completed by the end of March, and “remediation” — correcting the litany of problems — is underway. Alif Embroidery Village is in Savar, a bustling industrial area packed with garment factories, just a few miles from where Rana Plaza once stood. Two years ago on April 24, the eight-story structure collapsed, crushing and maiming thousands of garment workers under broken concrete slabs and twisted metal. More than 1,100 workers were killed and 2,500 injured. The tragedy shocked the world and shook Bangladesh’s booming garment industry, the world’s second largest after China’s. It accounts for 80 percent of Bangladesh’s exports and has propelled annual economic growth of 6 percent in recent years. Rana Plaza sounded a harsh wake-up call to other factories and to international clothing brands and governments to improve working conditions at some 4,500 garment factories that employ 4.4 million workers, about 80 percent of them women. In the aftermath of the Rana Plaza disaster, more than 200 clothing brands pledged to make their source factories compliant with international safety standards under two international agreements. About 1,250 factories have been inspected under the Accord on Fire and Building Safety in Bangladesh, which represents more than 190, mostly European, brands, including H&M, Tesco, Primark, Benetton and Inditex, owner of Zara. Under the nonbinding Alliance for Bangladesh Worker Safety, which represents 26 of the biggest U.S. clothing buyers, including Wal-Mart, Target and Gap, about 700 factories have been inspected. Factories not under the Accord or the Alliance have been inspected under a third initiative called the National Tripartite Plan, backed by the Bangladeshi government, the International Labor Organization and other groups. An additional 700 of approximately 1,400 of those factories have been inspected. By March, 32 of 2,700 inspected factories were closed because of imminent risk. Factories must correct electrical, structural and fire safety problems outlined by inspectors and posted on public Web sites within six to 36 weeks. If they do not comply, Accord and Alliance clothing brands must stop doing business with them. Factories’ export licenses also can be revoked. Progress at Alliance factories varies, from facilities that are 80 percent done with “corrections” to others less than 10 percent complete. The large scale and rapid schedule of the task in Bangladesh are “unprecedented,” said Tuomo Poutiainen, program manager of the International Labor Organization in Dhaka. “You don’t see anywhere else in the world doing this as quickly,” he said. Meanwhile, efforts are underway to make safety sustainable by training government inspectors, passing additional labor laws and organizing garment workers. There is a sense of urgency because the Alliance and Accord groups are operating under five-year agreements that end in 2018. After that, the Bangladeshi government, which is working to strengthen its inspections team, will have to enforce safety standards along with the ILO and private inspectors from the larger clothing brands. After Rana Plaza, the government recruited 218 labor inspectors to join the 68 it had at the time. An additional 45 inspectors are being recruited. Costly equipment such as fire doors and hydrant pumps must be imported. Fire doors cost $2,000 a pair, and hydrant pumps cost $60,000 each. Fire safety equipment and standards are generally alien concepts in Bangladesh and have caused confusion at many factories. However, more progress has been made with upgrading familiar and less expensive electrical systems. About 70 percent of garment factory fires are electrical in origin, so improving electrical systems can have a big impact on safety. Although remediation is expensive, “we want to run a good business,” Rana said. “We feel it is an investment.” But his factory represents the high end of Bangladeshi garment plants, those with the wherewithal to make upgrades. 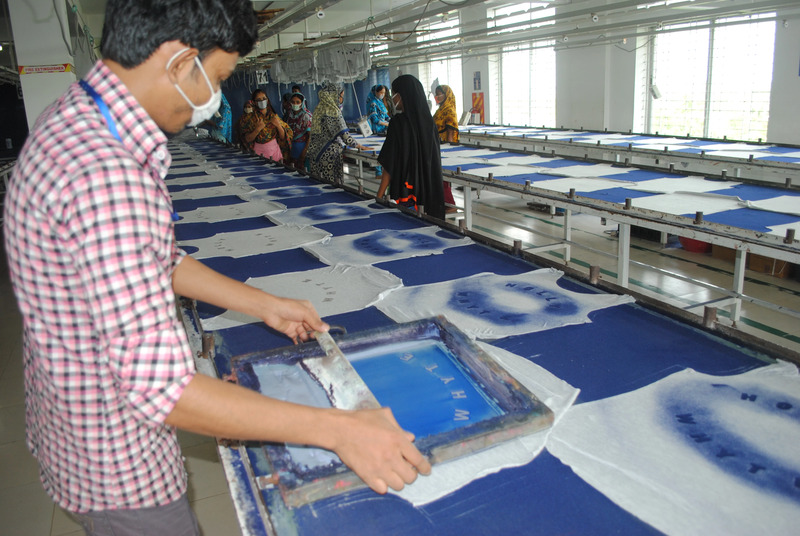 At the other end, many cash-strapped factories need low-cost loans to carry out upgrades, said Reaz Bin Mahmood, vice president of finance for the Bangladesh Garment Manufacturers and Exporters Association, the main industry group. But Mahmood said more factories could close if they do not comply. “If more factories close, I don’t know where all these women will go,” he said, referring to the workers. Garment workers are a critical part of ensuring workplace safety in the future, said the ILO’s Poutiainen. Worker hotlines have been set up, and more workers are joining fledgling unions. But increased worker engagement is an uneasy prospect for many factory owners. “The door is opening for a labor voice that hasn’t existed,” Poutiainen said.